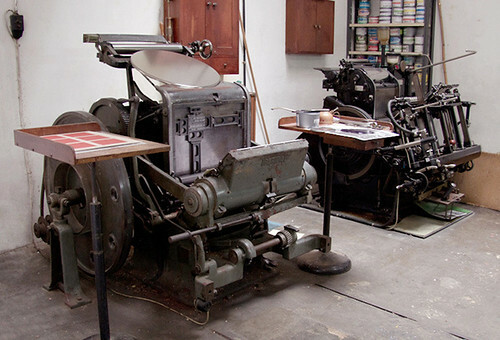 The University of East London discarded its letterpress equipment years ago, like many UK-based higher education institutions, in favour of digital technology, writes Stephen Barrett. And while UEL staff attempt to engage students with the physicality of letterforms by introducing them to drawing and various craft exercises (many of which have been passed down through the teaching of Catherine Dixon), such tasks can be limited by the level of achievable finish. In April 2014, with the aim of bridging the gap between typographic theory and practice through hands-on design and production, a group of seven UEL students, with myself and fellow lecturer Andrew Osman, travelled to Barcelona to participate in a week-long letterpress workshop led by Barcelona-based design and printing collective L’Automàtica. 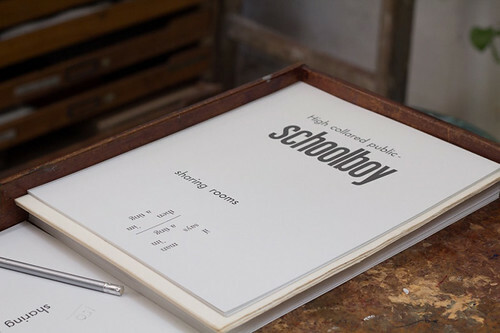 A letterpress workshop was an ideal way to provide students with the chance to design and print work with high-end production values while also learning about typography through hands-on experience. The trip was partly funded by UEL’s Going Global bursary scheme which helps fund study-related trips overseas. The group of seven students included Sonia Ahmed, Jay Cook, Temidayo Kolawole, Hansa Panchani, Matthew Phillips, Sam Strudwick and Toby Way. 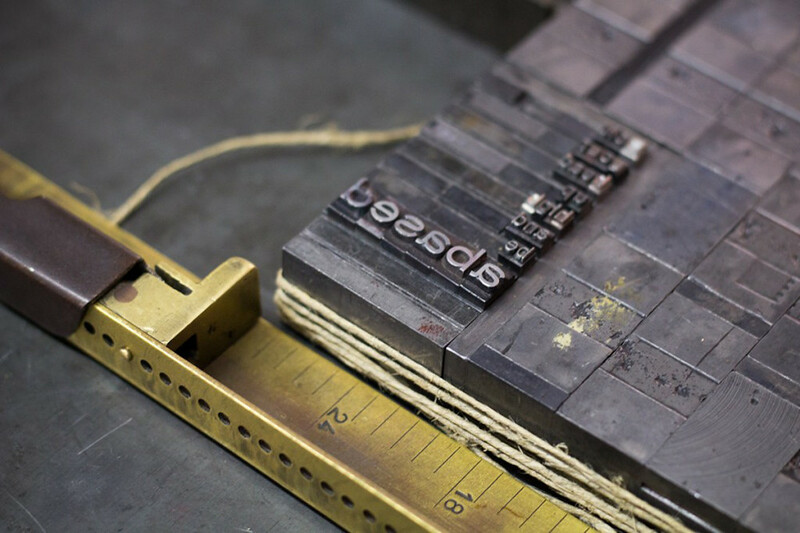 Constraints are a key factor when working with letterpress, the decisions a designer can make are reduced to a set of variables defined by the system. 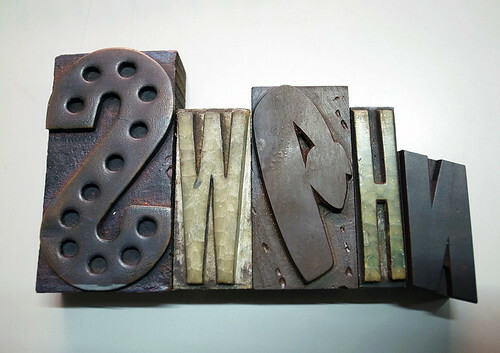 Choice of typeface and size are also limited to what is available in the printshop, which is at odds with the often overwhelming task of choosing a typeface from the thousands potentially available on the computer. These restrictions extend to the whole system of letterpress, which, unlike the infinite elasticity provided by digital typesetting, forces the student to make clear and distinct decisions. The time-consuming nature of composing metal type necessitates some planning. These sketches and annotations become physical traces of the students’ design process and thinking, which can prove to be invaluable learning tools. Composed type and spacing material for Matthew Phillips’ design using text from The Waste Land by T. S. Eliot. 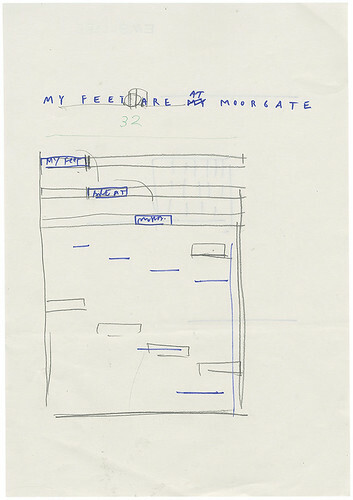 An understanding of manual typesetting extends to the non-printed area. Leading, kerning, letter- and word-spacing and alignment are all physical – the student must build up the spaces as well as the characters in order to print and therefore must make decisions on all of these factors – there are no automated settings to rely on. This physicality extends to every aspect of the production: cutting and folding paper, mixing pantone inks, die-cutting and binding. The student is not distanced from the materials and production processes via the window of the computer screen but must engage with them, understand their properties, and in time know how to manipulate them to his / her advantage. 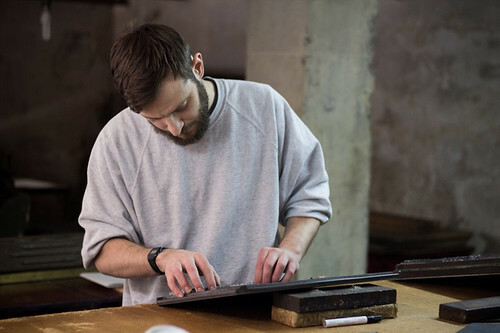 UEL Typography tutor Andrew Osman composing his piece. The workshop allowed staff and students to learn together – we were all novices. With student workshops providing vital funding for maintaining the printshop, L’Automàtica will continue to conduct workshops with groups of students from all over the world. As such the collective are able to pass on their knowledge of these techniques and processes to future generations. 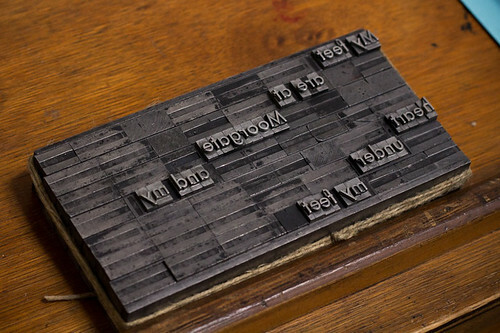 One could argue that letterpress is perhaps a luxury and not vital to the study of typography, but it provides us with a form by which we can explore and understand the subject and its origins, a process that we can see and smell and touch. It is something to hold on to. 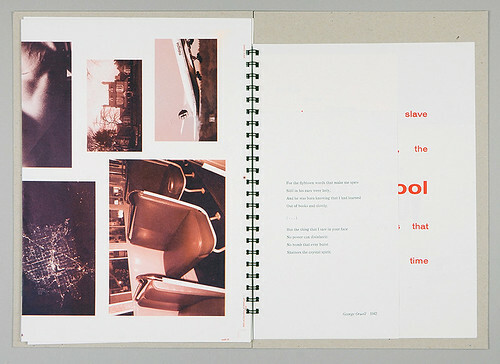 With two members of L’Automatica, Ariadna Serrahima and Marc Torrent, and printer / instructor Ferrán Fandos, the workshop culminated in a communal publication. Designs by Sam Strudwick and Jay Cook printed together on the same sheet before trimming.